We are very excited to collaborate with The Registry, one of the Bay Area's prominent CRE news outlets. For many more to come! 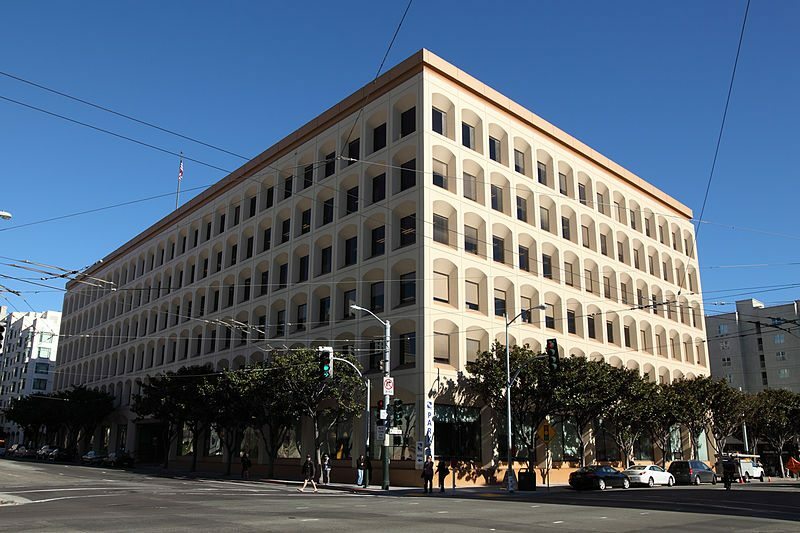 By Jon Peterson Hartford, Conn., -based Cornerstone Real Estate Advisers is selling 795 Folsom St., the former Twitter Inc. headquarters in the Yerba Buena district of downtown San Francisco. Cornerstone has owned the 185,500-square-foot office building south of Market Street since the end of 2011 when it paid San Diego value-add real estate investor Westcore Properties LLC $70 million, or $370 a square foot. The six-story building has 1,760 square feet of ground-floor retail as well. Westcore owned the property since 2006, when it bought it from Mack-Cali Realty Corp. along with another San Francisco office building, paying not quite $280 a foot for the two properties. Sources familiar with the transaction suggest that Cornerstone could sell the Folsom building, which is across the street from the Moscone Center and around the corner from the Yerba Buena Gardens and Center for the Arts, for $100 million and perhaps more, yielding about a 5.5 percent capitalization rate based on current net operating income. Originally built in the 1970s, 795 Folsom is fully occupied. Twitter has been replaced by Kabam Inc., which says its revenues grew by 70 percent in 2012 to more than $180 million and that it is profitable. The Google-backed mobile gaming company occupies not quite 75,000 square feet of offices on the second, third and sixth floors, according to lease data from CompStak Inc. Its rental rates on the largest chuck, more than 63,000 square feet, are in the low $50s a square foot a year with $1 annual increases for six years, according to CompStak. The lease was signed in the first quarter of 2012. A second lease, signed shortly after, commands lease rates in the high $50 a square foot, also with $1 increases annually for six years. Another 27,800 square feet are occupied by Luxembourg-based Regus business centers, the “flexible” workplace provider. Regus, which shows 36 San Francisco locations on its Web site, signed a seven-year lease in the final quarter of 2007 agreeing to pay approximately $40 a square foot a year for its ground-floor space, according to CompStak. Other tenants include one-time Facebook Inc. contender Bebo Inc. and Rovi Corp., both of which are in the process of re-inventing their businesses, according to public statements by the companies’ leadership. A lease for two floors to AT&T at annual rental rates in the $30 a square foot range expires in 2016. Today’s lease rates are closer to $60 a foot. Cornerstone did not return phone calls or e-mails seeking comment. The real estate manager has awarded the sales listing to the San Francisco office of Cushman & Wakefield of California Inc. “I think the sale of this property will once again show how much interest there is in office buildings in downtown San Francisco. I think there will be a wide range of buyers,” said Adam Lasoff, a C&W director in San Francisco. Lasoff is one of multiple people at Cushman & Wakefield working on the sale of the property. They would not comment on the anticipated price or cap rate. Offers will be accepted at the end of August. San Francisco’s Yerba Buena district, a submarket of the broader SoMa, has 32 office buildings with 3.6 million square feet, according to the Colliers International 2013 mid-year and forecast report from the San Francisco office. The vacancy rate is 12 percent. The overall vacancy rate for office buildings in downtown San Francisco is 9.2 percent, according to Colliers, but the market has pressure points, said Mike McCarthy, a senior vice president for Colliers in its San Francisco office who dedicates his commercial property practice to the SoMa market. Tenants looking for 10,000 square feet to 20,000 square feet face a vacancy rate closer to 6 percent or 7 percent, for instance, he said. Rents in the overall San Francisco office market have increased 4.2 percent so far this year, according to Colliers, and the company predicts a 5 percent increase in all of 2013. While not horrid, the pace compares to a 14 percent rise over the last 12 months and a 40 percent ascent since 2011. “I think this shows that the recent performance is more sustainable than what has happened over the past few years,” McCarthy said.